Yes Azures are a bit different in their habitat. You are definitely on to something with the sandy, grass-filled dunes. In whatever ways you can replicate those conditions ... They will eat whatever they can but prefer some things over others. I'm guessing based on what you are saying that it is true they survive on decaying grass mats and other similar debris. Obviously they can tolerate woodchips but it may not be ideal... That's why i always add shredded straw to my woodlover beds in all the layers...being a grass it kind of acts the same. You could go ahead and cultivate the actual dune grass species from the area and that will be the cat's pajamas. 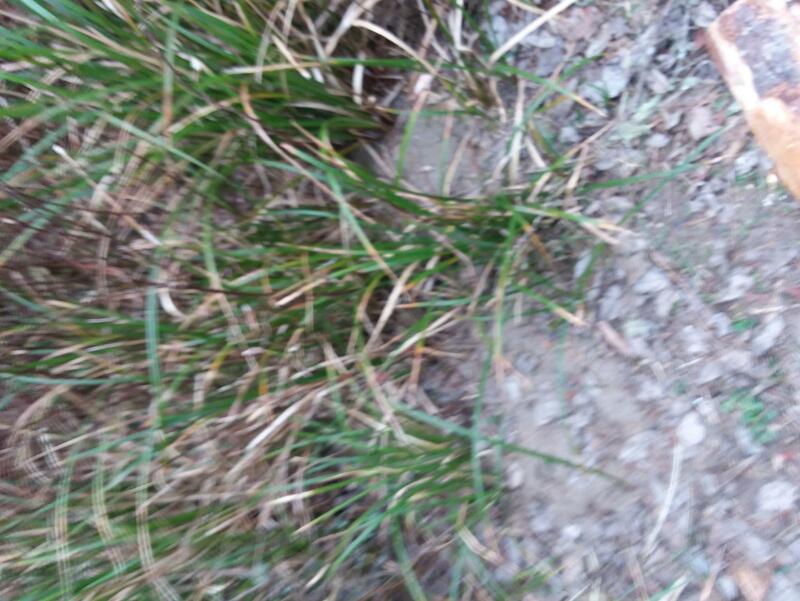 The soil should be sandier as you mentioned and replicating what you saw in situ. It’s gotta be the grass. Paul Stamets says they love it in there. Must be a reason. Edited by Bobotrank, 21 March 2019 - 09:59 PM. Thanks Hyph!!! Well I am on it. I have 10 grass bundles I dug up from Cape Disappointment and will plant them today. 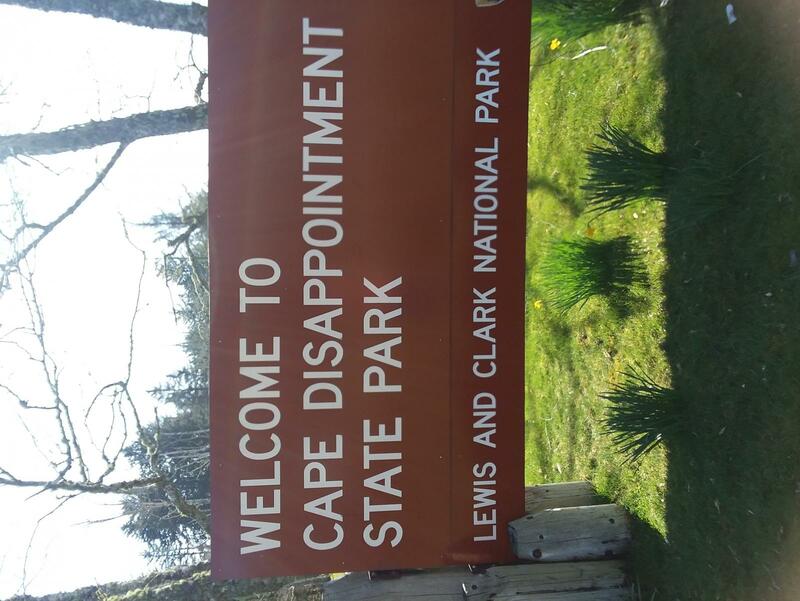 I will save the grass I cut and introduce into totes with the azures just to see how they like that.
. Cape Disappointment not but a stone's throw away from Dismal Notch..... where Lewis and Clark spent 8 miserable days in the rain and wind hunkered down with no food or water....or mushrooms?. Edited by Seeker2be, 22 March 2019 - 02:52 PM. Haven't been on the wood lover forum for some time. will be ready in a few weeks. substrate egg carton, old leaves, wood chips. Cannabis stalk is very good for woodlovers. 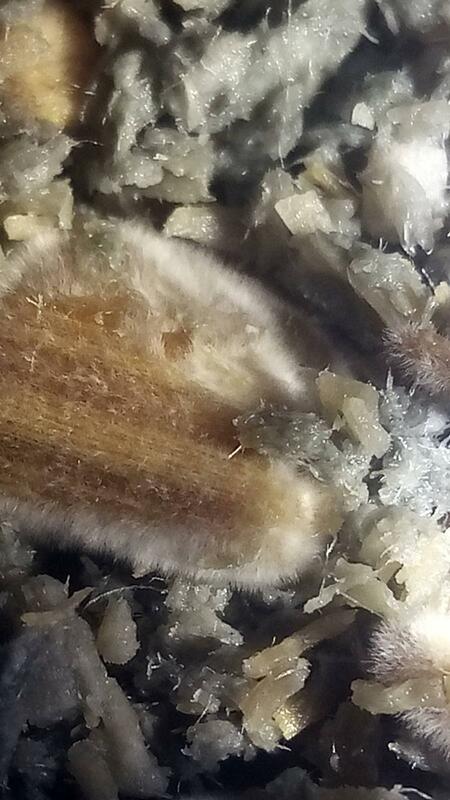 Also the root ball of Cannabis works amazing as substrate. In my studies I found that P. cyans does not like or colonize deciduous leaves. I only use leaves for mulch on top. Edited by hyphaenation, 22 March 2019 - 01:15 PM. Glad I dropped in and caught the deciduous leaves thing. I know very little about the cyans but have a syringe and some ovoids that im getting going as well. Ive had some chips soaking for a real long while. I should still use them right? they are still solid in texture ect. not odd looking or feel soft.. They look nice actually. Ive got the birdseed ready to go. You should drain the chips and lay them out on a tarp to dry a bit so they don't go funky...then soak them to field capacity (well drained) before using. Thanks. I'll give that a try. I thought I remembered something about fermenting like straw in cold water that you didn't want it soaked too long as anaerobic bacteria may get a hold? Ok so here is just under 24 hours, with visible progression from 18 hours. I will take further images every 1-2 days (sorry about the blue side images). 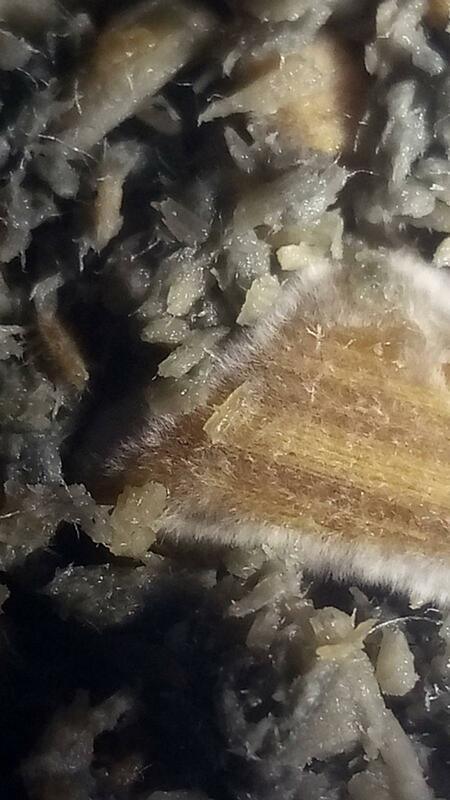 Here is my Azures today, visibly growth looks similar to growth from grain, however the speed is slightly slower (cellulose = slow release). 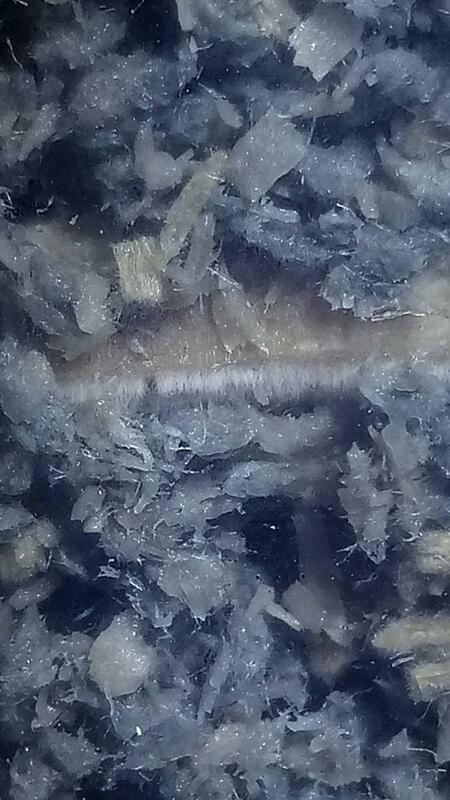 The Azure mycelium is producing radials where possible. 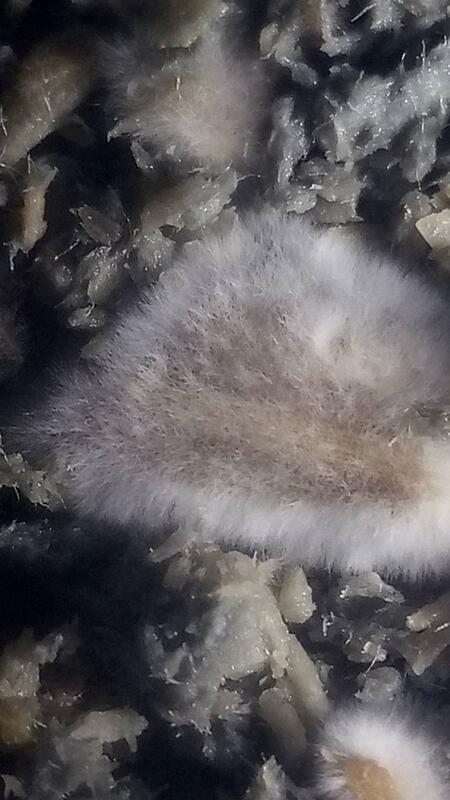 Weak areas and mycelial debris have fully recovered. I have high Hopes that I'll be getting some WLn on. I tried to start last fall but a few things happened so mushrooms didnt. Cubes or spawn for WL. Ovoid. 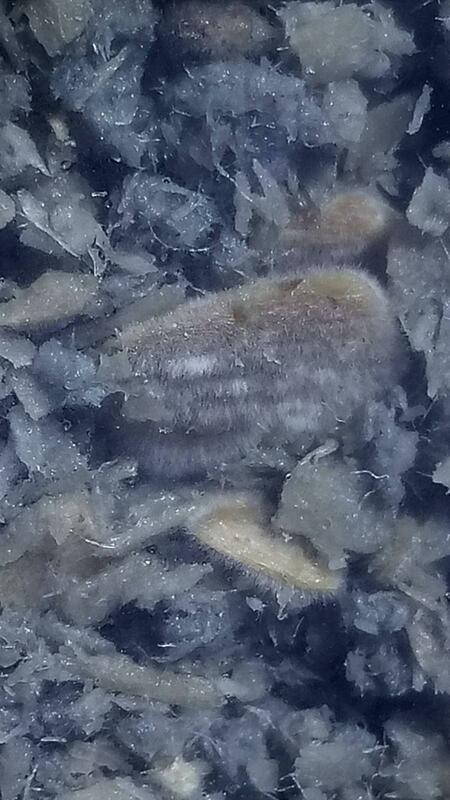 The spores were from a print and hydrated since last fall but they are going gang busters in karo LC. 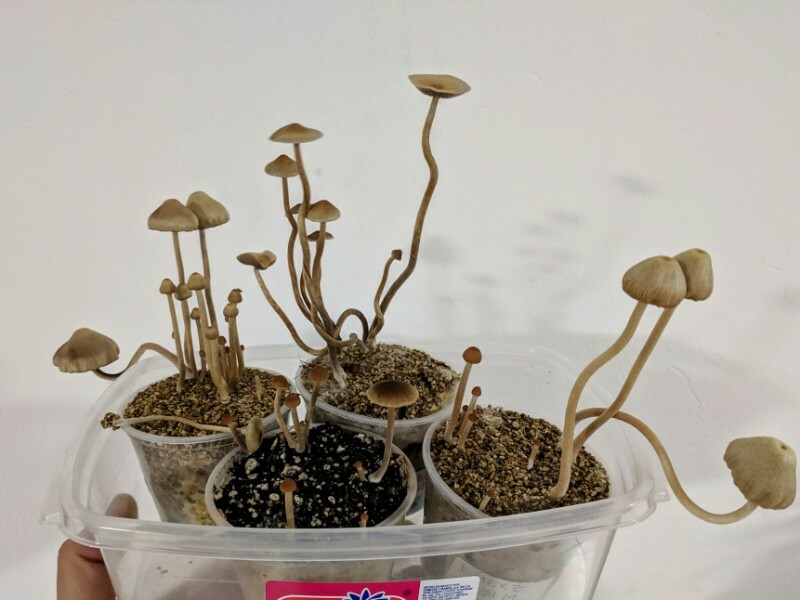 The cubes have been much slower and I added an extra couple mls spore water to hopefully help them. If I find any or can afford it , I think I'll try some morel slurry on woodchips around the yard. I've seen a couple cool vids on the Tube and I'm planning on getting tons, literally, of wood chips (and horse manure) spread on the lawn and garden areas this year. 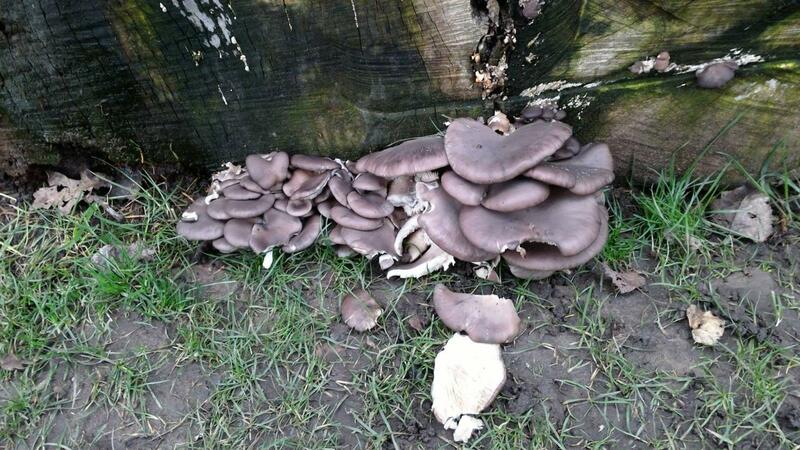 As a soil and garden builder but mushrooms would certainly benefit from that situation. "You pose a very interesting question. 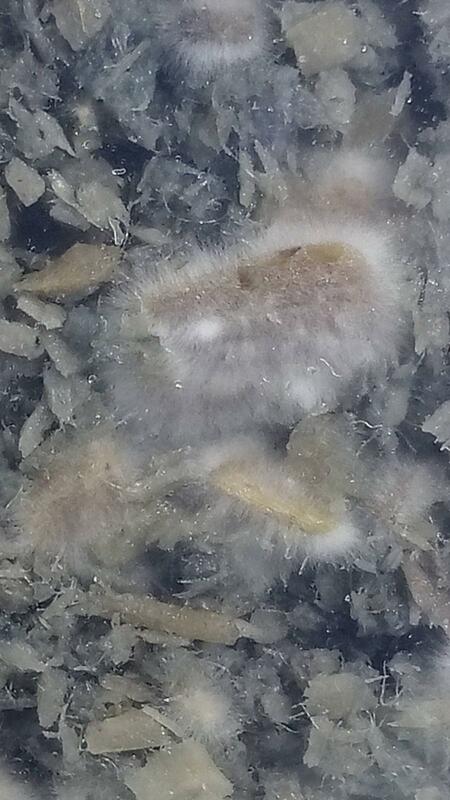 Might these "well-known" saprobic fungi really be mycorrhizal? 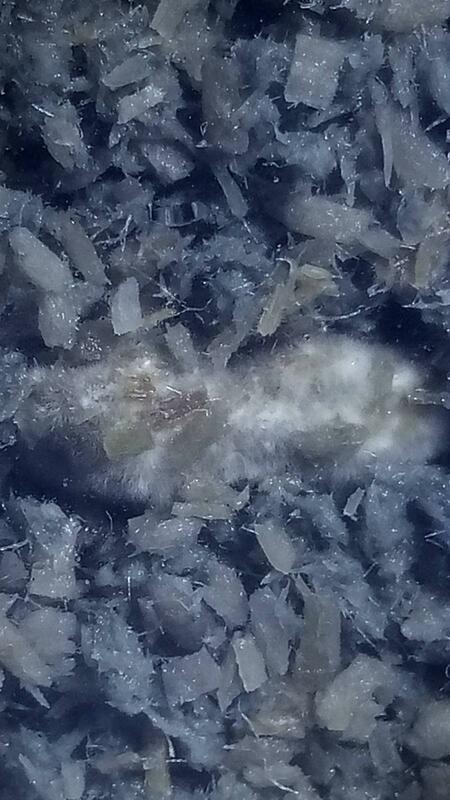 or partly mycorrhizal/saprobic? I expect 99% of mycologists asked this (if they dare to even talk about Psilocybes!) would reply with: "absolutely not!...they're either one way or the other!" and then storm off, harrumphing. In actuality, they are only known, currently, to be saprobic. But you pose an interesting question. My answer is "we don't know" and "it would not surprise me at all if you are correct." Consider Hygrocybes (or at least the group of wax caps that we called collectively Hygrocybe until recently. What could be more common and more understood than those, right? They're very common and on lawns. And known for centuries to be saprobic with grasses. 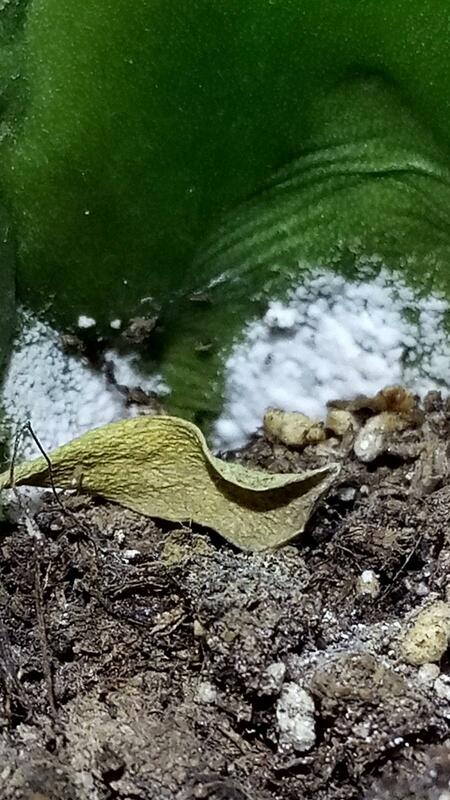 Turns out there is more to the story...some were recently shown to be endophytic with lawn plants! 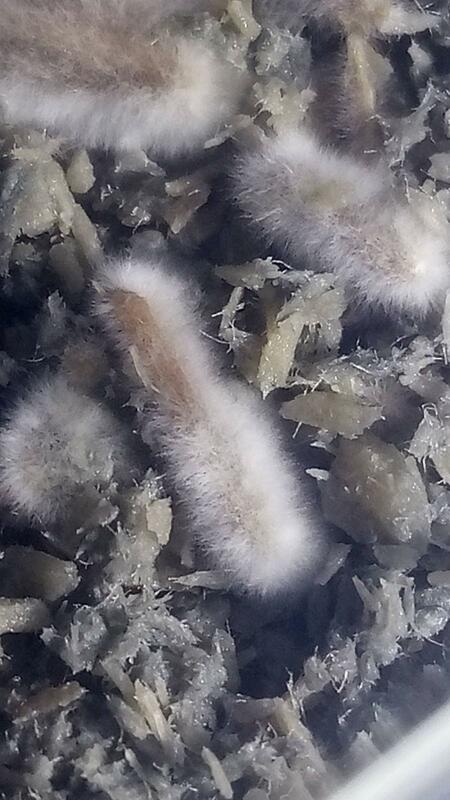 yep, they grow inside the plant, presumably as a symbiont. They come out of the plant to reproduce. 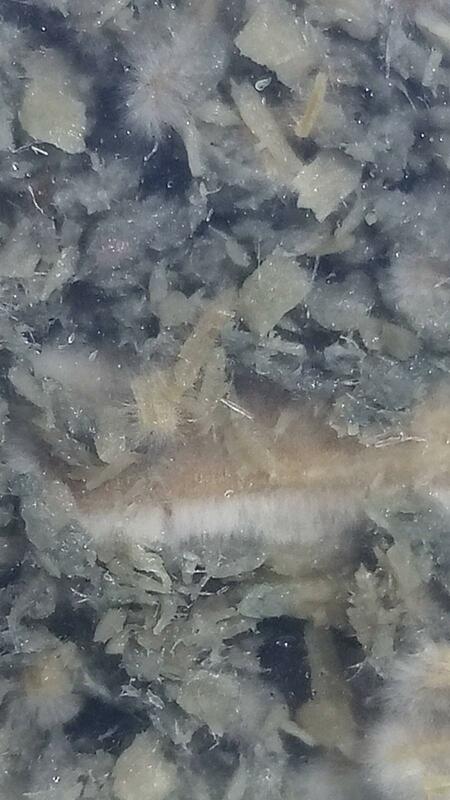 And in other examples, more and more mycorrhizal spp (Amanita, Cortinarius, Laccaria, etc etc) are found to have some enzymes to do some saprobic function (that is, they have some cellulase enzymes and can then presumably do some breakdown of plant debris). Probably not enough to be free living, but no doubt this trait could be of benefit them and to their plant partners. 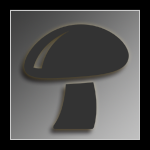 We do know of a few free living Amanita species...they do exist entirely sapropically. So, you have an intriguing question." Edited by Seeker2be, 17 April 2019 - 01:36 PM. 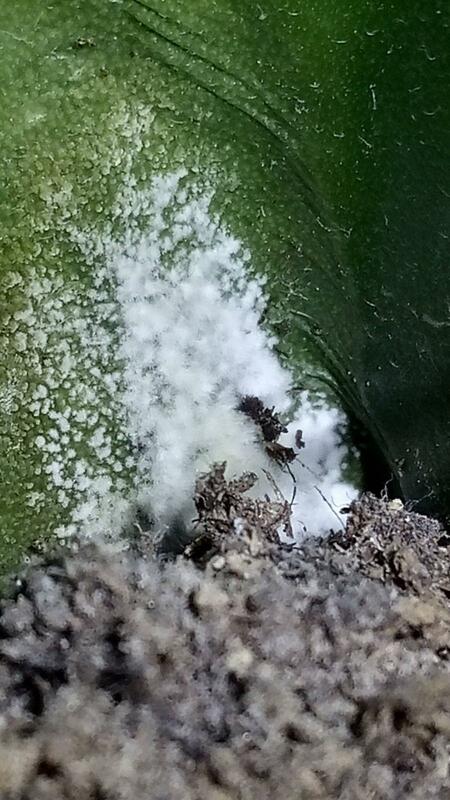 I'm going to have to agree, although I don't think all lignicolous mycelium do it, many do, here is a succulent cacti being devoured alive. 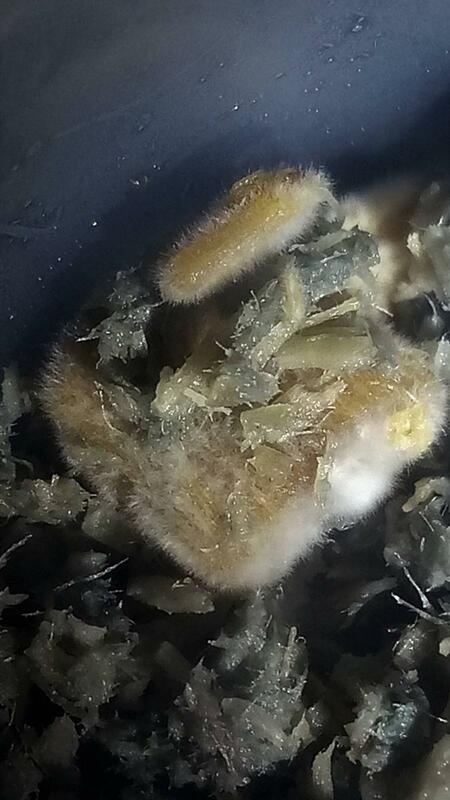 The mycelium came from the compost, the cacti was likely re-potted (a gift), else the cacti would already be dead. 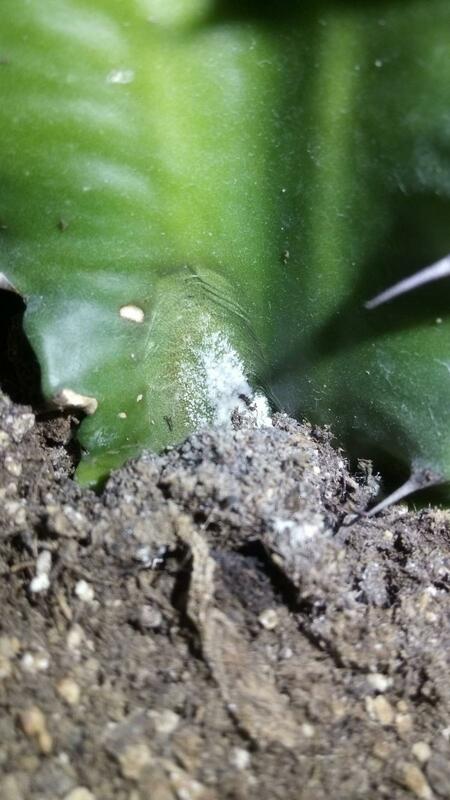 The pathogenic fungi is inside the cacti, which is obvious in image 4, it's decaying live tissue. 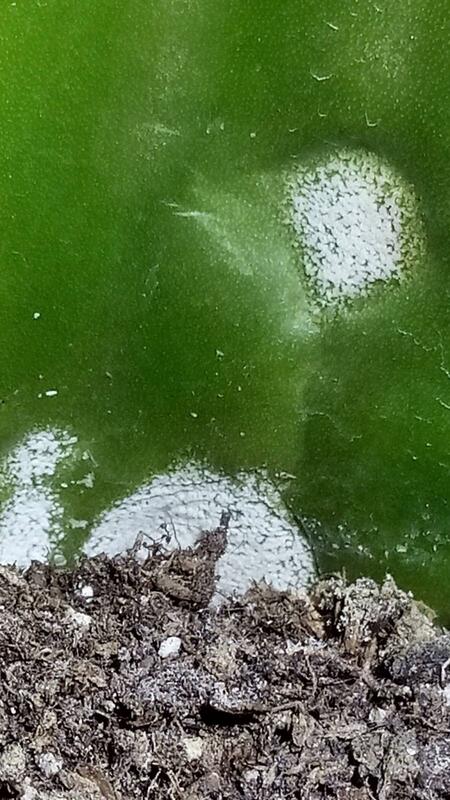 The compost is dry, the cacti is full of water and nutrients. 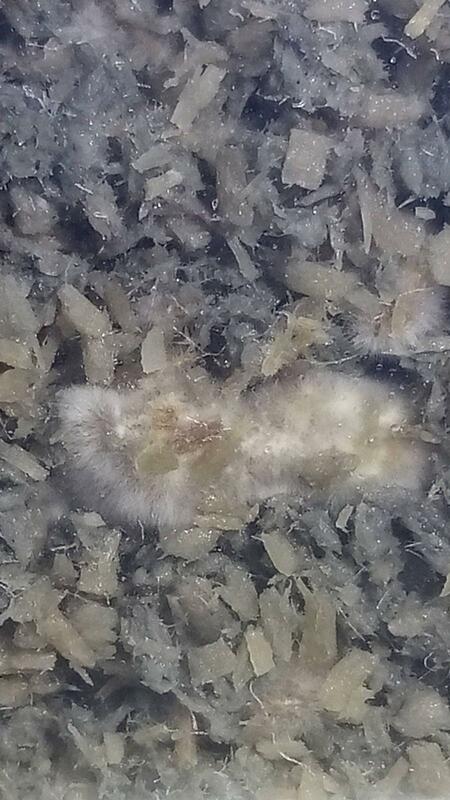 Here is Summer oyster benefiting from nitrogen fixating blue-green algae on low nitrogen cottonwood. 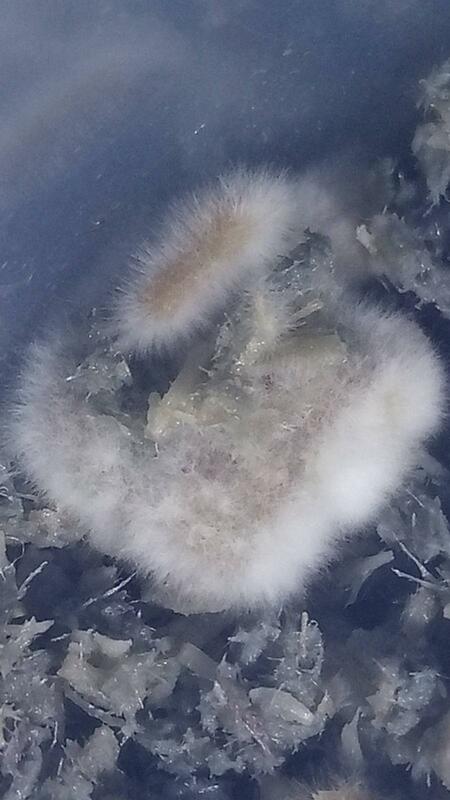 It's likely the oyster is devouring some weaker-dead algae cells, or stealing nutrients. 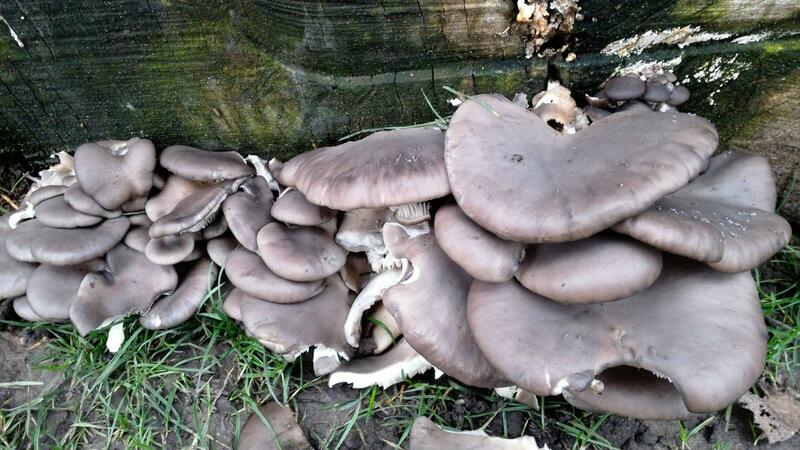 When Mushrooms Attack < Kills tiny insects, protein source (nitrogen). Edited by Ferather, Yesterday, 08:20 AM.